I am joining with Bloggers for Public Education group to talk about homework. This is a wide topic, and I decided to focus on the specific challenge of smart students and homework. You know that it should take your child minutes to complete his homework. Why then does he or she struggle so much? What Is So Special About Homework and Smart Children? The answer is pretty simple. 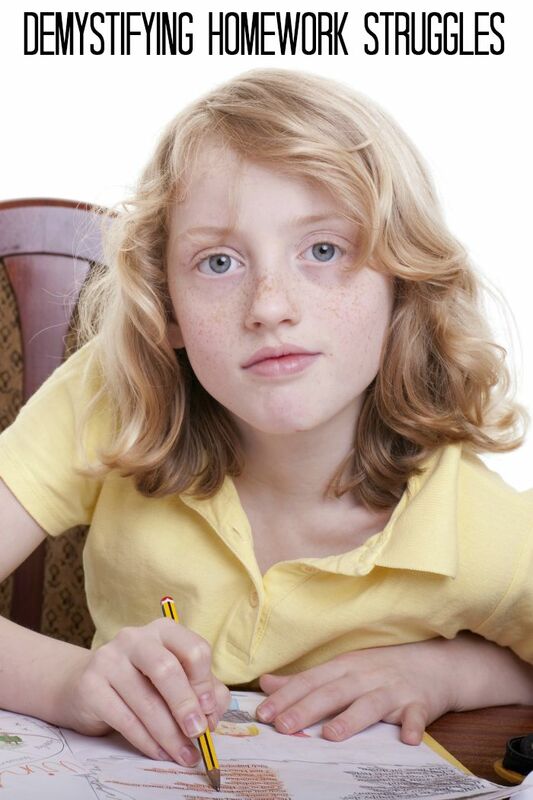 These children normally do not need parental involvement in understanding homework material. 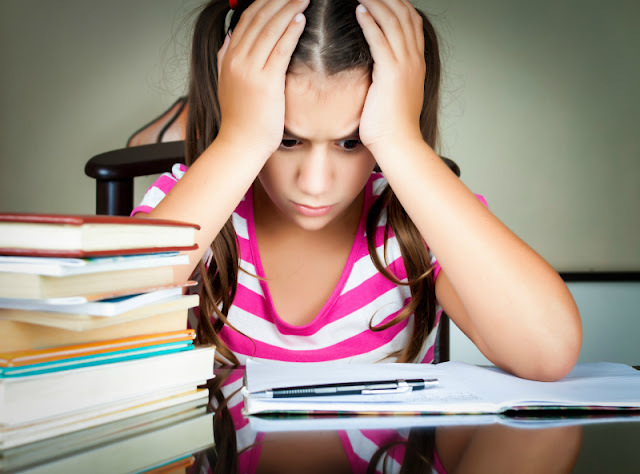 Nevertheless, some of them do struggle with completing or turning in their homework, and the reasons for this struggle can be very different depending on the student and, partially, on their parents’ approach to homework. One common homework challenge is simply getting started. This is why parental involvement is needed to help kindergarten and first grade students learn "mechanics" of completing homework, establish homework routine and simply decide together with your child when he or she will do their homework. Ideally, you want homework to be done habitually at the same time every day (like brushing teeth after meals), but in practice it’s not always feasible if students have extracurricular activities and/or playdates. We find it useful to have an expectation that homework is done before dinnertime at 6 pm and leave it to our fourth grade daughter's discretion to figure out when it is going to be done. This works well, because it gives her a degree of autonomy that is important for motivation, but she does not have problems with task initiation. If you know that your child is struggling with this executive skill, you will have to trigger homework start until he or she is ready to do it on their own. Another possible challenge is staying on task, especially if homework is not engaging. One Mom commented to me once how her daughter is perfectly able to do her homework within 15 minutes, but ends up spending an hour on it, because she keeps getting distracted. I recommended to her to try a timer technique – to set a timer for 9 minutes (the age of her child) and encourage her daughter to stay on task until the timer beeps before taking a break. This modification, plus earning rewards for homework completed within 30 minutes really helped her daughter to reduce amount of time and whining while doing homework. This problem does not usually occur in younger grades, but appears during longer term projects assigned to students. Personally, I think that assigning multi-step independent projects to anyone younger than 9 or 10 is a big mistake, because young children' brains simply didn’t develop mechanisms needed for long term planning. We ended up helping Smarty quite a bit with her heritage report, science fair project, and a couple of other projects assigned for independent study, and every time all of us felt mostly frustrated with the experience. However, as your student grows, he or she should learn to plan and organize her long term projects – first, with support from parents and teachers, and, eventually, independently. It seems counter-intuitive, but advanced learners can still have working memory challenges and be very absent-minded. This might result in forgetting to write down homework, bring necessary materials home or return homework to school. Again, parents of younger students have to “supplement” underdeveloped executive skill and design memory aids (checklists, etc.) for their absent-minded little geniuses. I left the best and the most challenging objection to homework to the last. Many advanced students will say that homework given to them is boring, and they might have a valid point there. In the previous four years of school, we have not seen any differentiation in homework, but at least last year the amount of homework was reasonably small, so we didn’t feel the need to go to war against busywork. I personally think it’s not a good practice to simply excuse your child from homework on account of it being boring as this will set bad precedent for later years, but it might make sense to talk to a teacher about differentiating homework or replacing it with some sort of independent study project or online work. This year we are hoping to replace math homework with 20-30 of online work on the appropriate level if accommodations cannot be made to compact math curriculum in the classroom. I think it’s fair to assume that no parent enjoys the role of “homework overseer” – someone who nags, monitors, sits with the child throughout entire homework session, and even sometimes does homework assigned to their child. We certainly do not enjoy this role, and this is why we had no involvement in our daughter’s homework in the third grade and hoping to have no involvement in it this year. Of course, we will help Smarty if she has projects that specifically ask for parental involvement, but she does not have an expectation that we will be hovering over her, nagging her, or checking her homework. As we explained to her new teacher, we want our daughter to take responsibility for her work, and we want her teacher to see her true level of effort (or lack of it) in homework before it gets “embellished” by us. A negative feedback from a teacher is a natural consequence that advanced learners need to experience to be able to improve. In other words, don’t worry too much about them “failing” homework – this experience of failure might be needed to help them move from being an unwilling "homework participant" to self-organization and owning their own work. 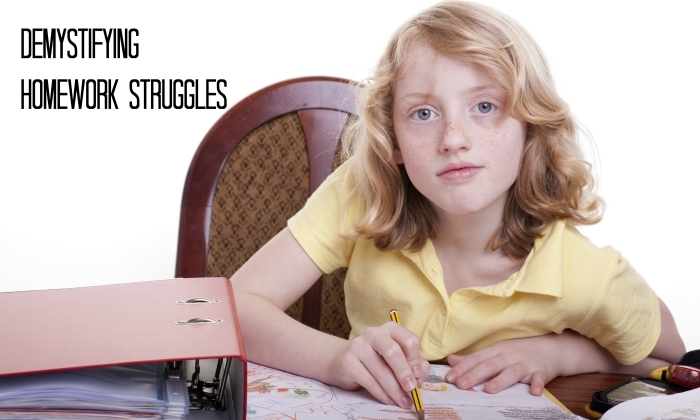 How do you deal with homework in your house? Follow my Pinterest board Resources for Gifted Children. Follow Natalie Planet Smarty Pants's board Resources for Gifted Children on Pinterest. Your last statement couldn't be more true - and is often not considered. Excellent thoughts! Great article! I hadn't thought of homework in exactly this way before. I love the idea of a timer - we use one successfully for other tasks here. Great post. Elementary school is an excellent time for learning to fail homework, although personally I would prefer (given the research and the importance I place on kids having free time) for there to be no homework at all in elementary school. Great post. I really love your thoughts on homework and working around things. I was always the one who was distracted or bored with homework, and thus often did not do it. How to Start a Digital Journal with Kids?